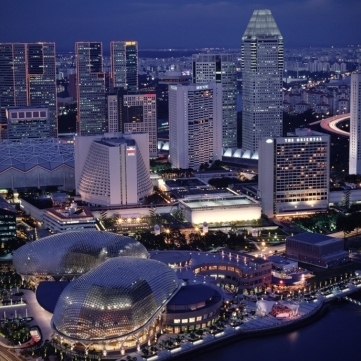 Singapore has the best infrastructure among the world’s top cities. This is according to the 2012 Mercer Quality of Living study, which separately ranked global cities with the best infrastructure for the first time this year. The addendum to the main Mercer survey, entitled “City Infrastructure Ranking 2012”, ranked a total of 221 cities based on key criteria. These include measures of electricity, water availability, infocommunications network, public transport system, traffic congestion and airport effectiveness. The stability and efficiency of Singapore’s urban infrastructure propelled the city-state to the top of the list, superceding the European cities of Frankfurt, Munich, Copenhagen and Düsseldorf, which rounded up the top 5. Meanwhile, regional neighbor Hong Kong, the only other Asian city in the top 10, shared the sixth spot with London, followed closely by Sydney, Hamburg and Vancouver. In Quality of Living rankings, Singapore, at 25th place, remains the highest ranking Asian city, followed by Japan’s Tokyo (44), Kobe (48), Yokohama (49) and Osaka (57). Overall, Vienna emerged as the city with the highest quality of life in the world, followed by Zurich, Auckland, Munich and Vancouver. The rest of the top 10 are dominated by more European cities, namely Frankfurt (7), Geneva (8), Copenhagen (9), and Bern (10).